As a former basketball player, I can attest to the discomfort that comes along with running up and down the court in sneakers that fit you when you purchased them in store but seemingly change size and shape every time you pivot. As a result of this natural foot expansion due to quick movement and heat, my feet and ankles are in a state of permanent distress (even 6 years after I has to stop playing). 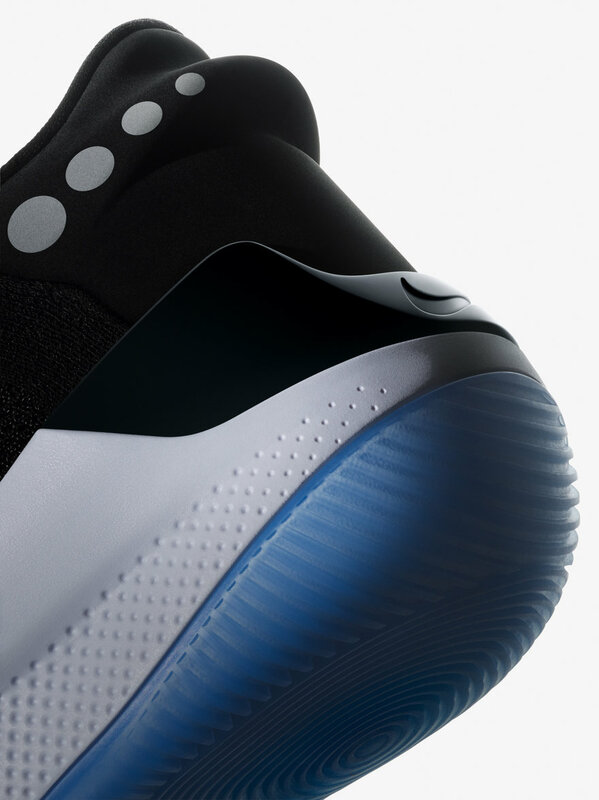 I'm not alone when it comes to this specific cause of discomfort, which is why I'm so curious about Nike's new Adapt BB basketball sneaker, which incorporates Nike's self-lacing technology in a realistic context instead of Back to the Future or the more recent lifestyle edition HyperAdapts. 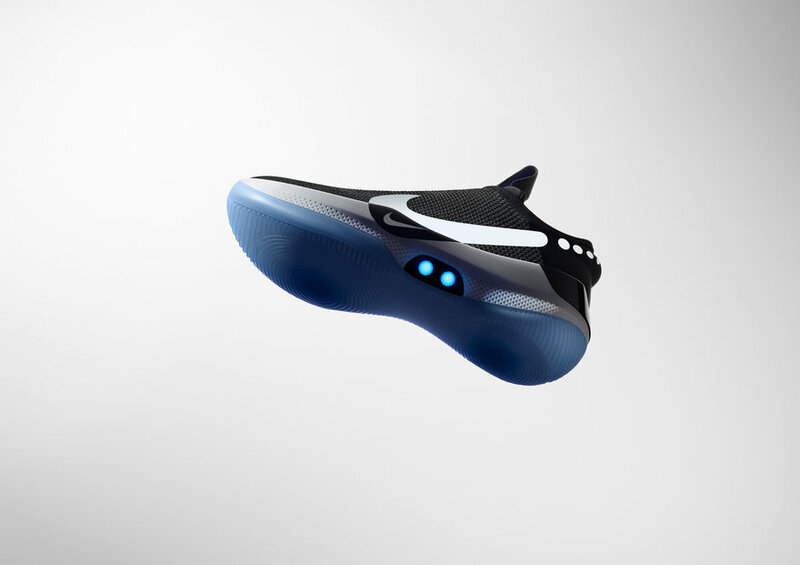 The Nike Adapt BB's upper is made from alternating Flyknit and QuadFit mesh, and the midsole features Nike's cushion foam, which is no stranger to Nike's basketball sneakers. 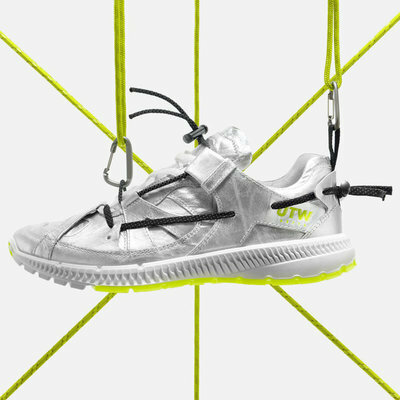 The sneakers offer a custom, ever-changing fit due to their adaptive lacing—users simply place their foot inside the sneaker and let a motor and gear train (Remember this? Just a theory...) do the rest. Basically, the system senses the level of tension needed for the foot at any given moment and adjusts accordingly. 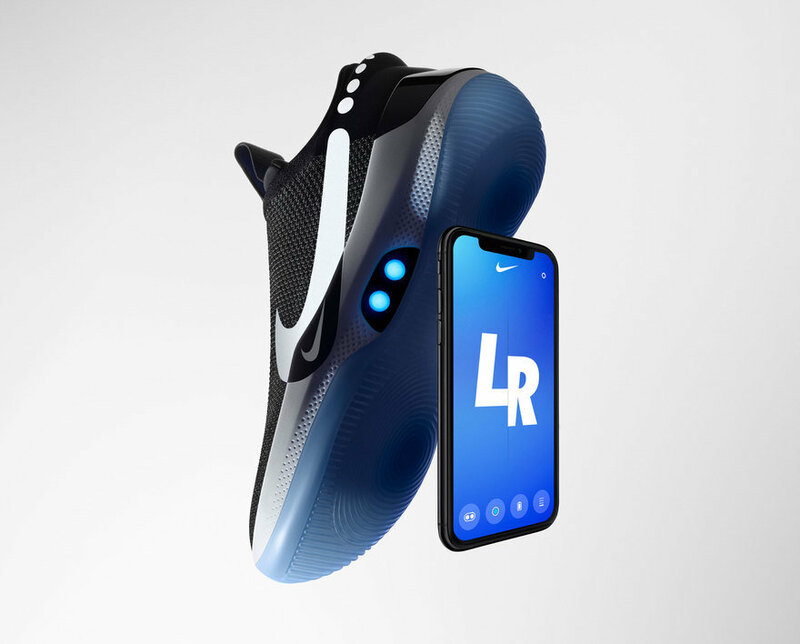 A main addition that sets the Adapt BBs apart from previous self-lacing sneakers is their app connectivity. 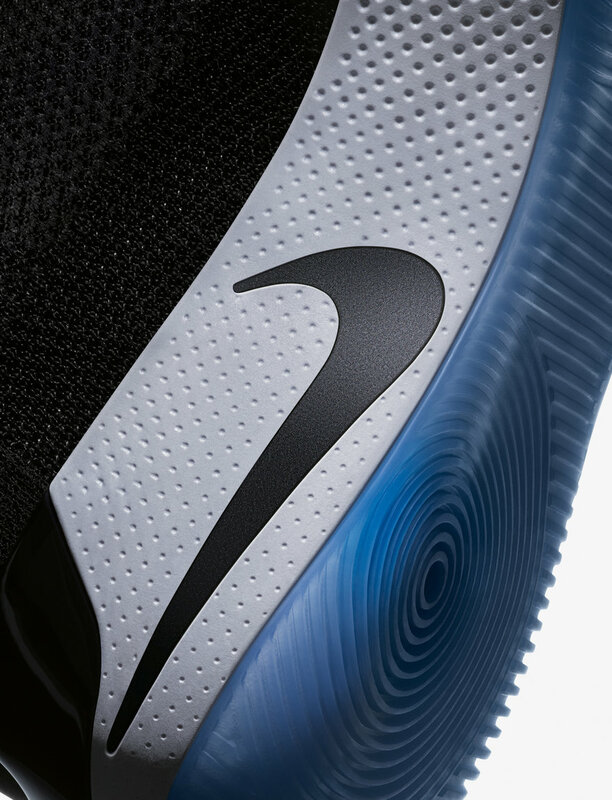 In addition to physically adjusting the fit of the laces, users have the option of using the Nike Adapt app to set their fit preferences. 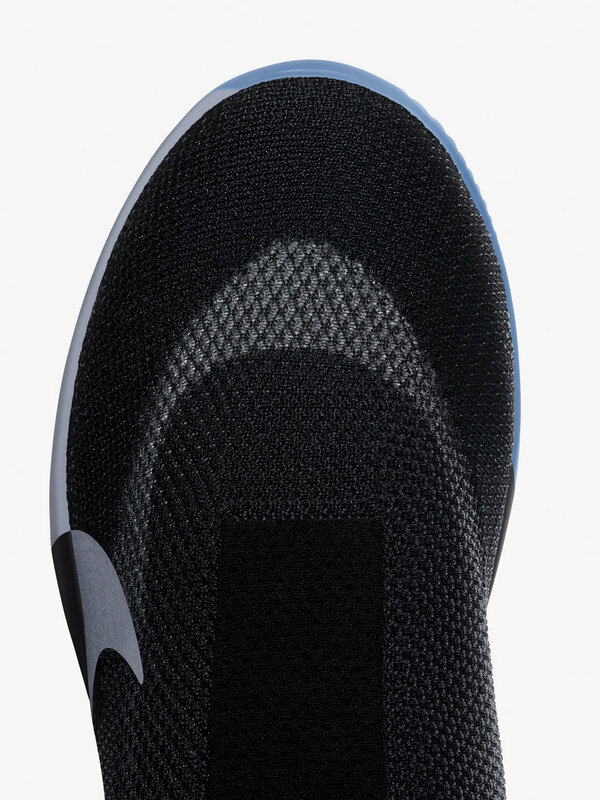 Wearers will be able to loosen the shoe before tightening it up as they re-enter a game and in the future, they will even be able to assign a different tightness level for warm-ups and cool-downs. A customized fit is awesome, but my main concern is that basketball sneakers usually crap out after just one season, often even less. 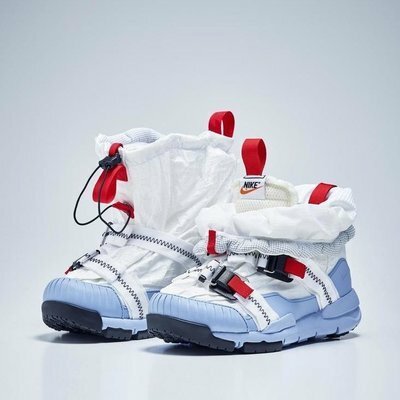 So, will players need to purchase new sneakers including the tech that often, or will the tech be removable so that players only need to re-purchase the sneaker's shell? Will the firmware updates carry over if you need to get a new pair? 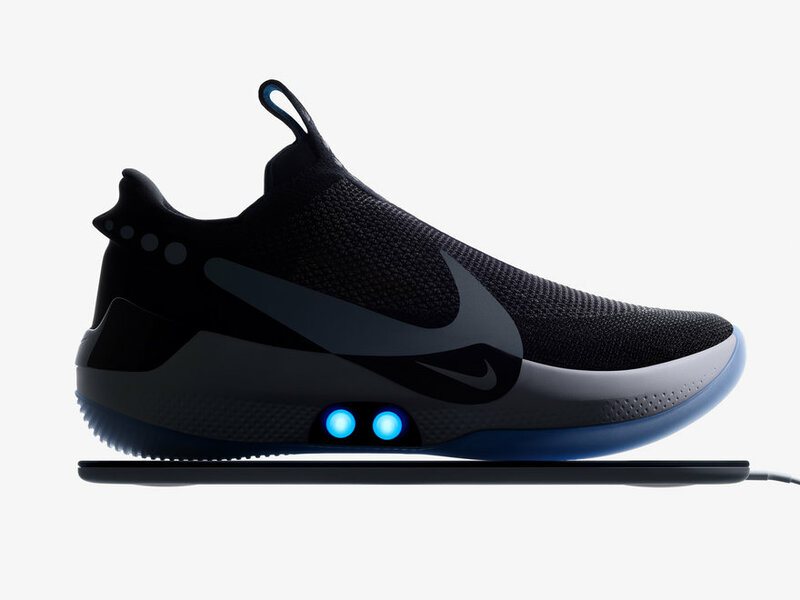 Either way, if you've ever imagined a world in which sneakers need firmware updates, battery replacements, etc., just have comfort in knowing that vision is around the corner. After attending CES and seeing everything from air fresheners to purses become tech enabled, it's only fitting that our sneakers are next. This absolutely proves how gullible and ignorant people are and will believe anything a major brand's marketing team will tell them to buy as the "latest innovation" I have a pair of these shoes in 1970 they were called Vans and did the exact same thing these at 1/10 the cost. 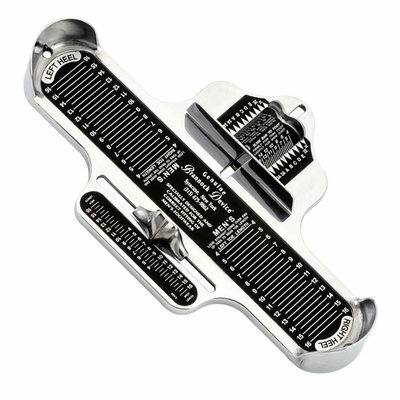 Using an app to tighten your shoes? how lazy can we get? wheres the app to put on my matching socks? 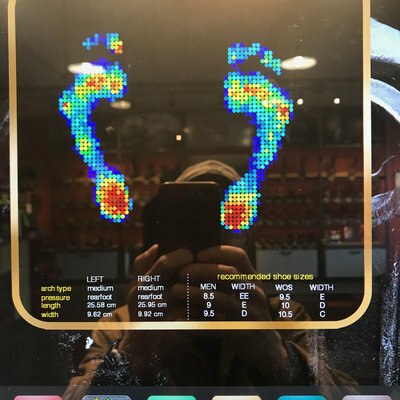 Where would footwear design be, without an accurate way for customers to find the right shoe size?